1 If you have information about recent or ongoing criminal activity by a registered offender or any other offender, contact your local law enforcement agency. 2 If you believe that any of the Registry information is in error, please use our contact page. 3Sexual or violent offenders with questions about their registration should inquire in writing and include their full name, address and date of birth for identification purposes. Heightening awareness can be the best prevention. 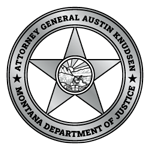 Section 46-23-520 of the Montana Code Annotated requires the Department of Justice to develop and collect information about sexual and violent offenders released into a community. The Registry provides easy access to publicly available information about people convicted of certain sexual and violent offenses. 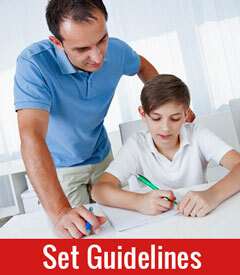 For sexual offenders, this includes an offender's name, photo, physical description, last known address, tier level and any special designation Parents, educators, law enforcement officers and the broader community can use the following information to increase their understanding of ways to help prevent sexual assault. is to reduce the chances of future victimization by an offender. The information in this Registry is basic safety information intended to assist you and your family in avoiding situations that allow easy access to victims. Sexual and violent offenders reside in Montana and in every other state. Families need to follow basic safety measures regardless of whether an offender moves in to or out of your neighborhood. Sexual and violent offenders, like anyone else, establish friendships and business relationships in the area they live in. Even if an offender moves to another part of town or another county, they maintain these relationships and visit other areas where they have established relationships. Beginning May 2007, offenders who reside at multiple addresses are required to register their primary residence and any additional addresses. For example, an offender may live most of the time at one residence, but routinely stay with friends or relatives on weekends or over the holidays. An offender may therefore be only an occasional resident at additional addresses listed in the Registry. Do not harass your neighbor. An offender put in a stressful state is more likely to relapse. Tell your children, in general terms, that this person has hurt someone before. Explain that they should stay away from this individual. Review safety tips and common lures - Avoid scary details. You may know more than your children need to know. Strangers commit relatively few sexual crimes. Someone known to a victim commits more than 80 percent of all sexual crimes; family members commit many of these crimes. 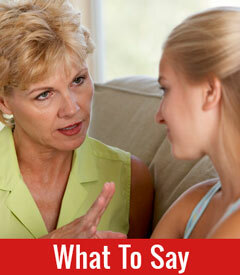 Keep information general to help protect children from anyone who might try to harm them. Explain the importance of avoiding dangerous situations in general, rather than trying to teach them how to be safe only from the one offender you know about. DON'T accept a ride from the offender or any other stranger. DON'T go into the home or yard of people you don't know. TELL your parents if the offender or any other stranger offers you toys, money or gifts. TRY to use the buddy system when children play outdoors. CALL 911 if your parents are not home and the offender or any other stranger approaches you. A number of local, state and federal organizations and government agencies provide information and services to crime victims, their families and other concerned citizens.